Mobile devices are integral to educating students in all content areas at all grade levels. I’m certainly not asserting that tablets and smartphones are exclusively the way to educate our children. But when our society uses them to communicate, do business, and share our personal triumphs and sorrows every minute of every day, shouldn’t our children be learning to do these same things in school? If academics are meant to help children participate in the world around them, they need to be proficient in the technologies used to participate. Brit Christopher, a middle school theater arts teacher and accomplished performer and director in her own right, understands this. 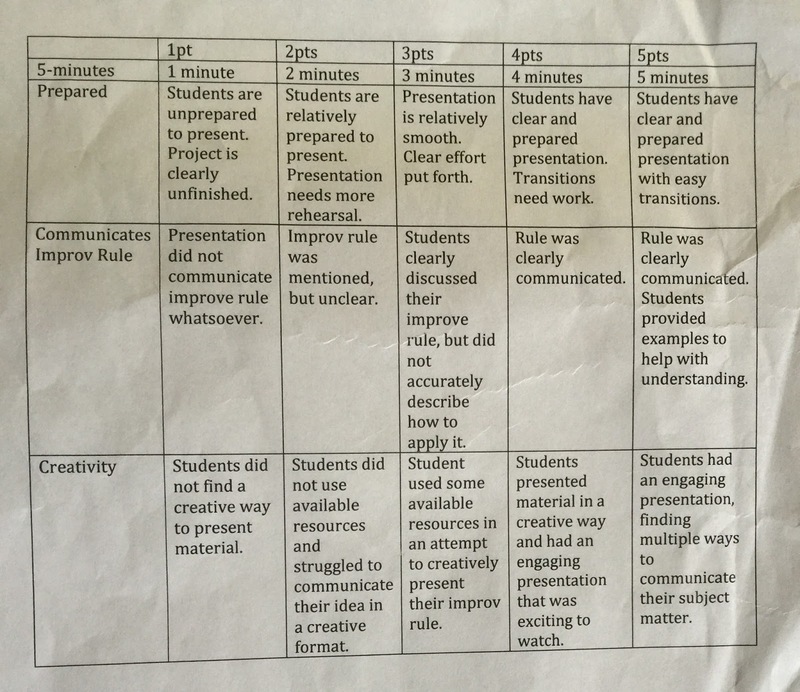 This is a snapshot of how iPads provided creative opportunities for her students. She calls it “TheaterTech”. In my 6th grade Theater Arts classroom, we spend a lot of time on live performance and social interaction. My tests and quizzes typically have both written and practical sections, and my students are used to being up on their feet during class. I decided to assign a project that would give students the chance to engage with technology in my classroom, something that I felt had been lacking in my 6th grade curriculum. and structured enough to give them guidance. In assigned teams of two, students randomly selected one “rule” of improvisation. Their team became responsible for a 5-minute presentation on that rule. 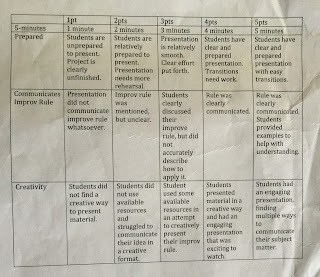 I told students that they would be graded on the length of the presentation, preparedness, how well they communicated their rule of improv, and their level of creativity in presenting. Other than that, anything goes. I did not require students to use technology in their presentation. However, in a 1:1 iPad school, I did give examples of presentation possibilities, including: using Garageband to make a song or a rap, creating an iMovie, using slideshows, or making a Kahoot! to check for understanding. I also made it clear that they were welcome to use posters and markers, and that their entire presentation could be done live without any tech. Out of 24 pairs of students, only one chose not to integrate technology into their project. I found that the most successful presentations involved students engaging with multiple apps. The pair of students featured in this video were highly successful. In the video, they clearly explained their rule (“Don’t ask questions”,) gave examples and showed off their personalities. They also had a slideshow presentation where they clarified their points to the audience. They then followed up with a Kahoot! to check for understanding. Their presentation was funny, thoughtful, prepared, engaging and absolutely communicated their assigned topic. By creating a project of this nature, I got to observe my students working together in a new way. I watched them solve problems. I learned which students best express themselves through music. I saw them bring their public speaking to a more polished level. I saw them take their project, their grade, and their work seriously. I’m already planning on applying this same idea to my curriculum in other grades. While there are times when people use technology as an escape, if a task is structured properly technology can encourage cooperation and collaboration. When given choice and freedom about how they create, many (but not all) students tend to look to technology because it is more exciting, engaging, and gives them more creative opportunities. What children create with technology can give us insights into their strengths, areas for growth, and interests that we might not otherwise see. Mobile technology is not the only way to teach and learn, but it is an essential tool for creating and communicating. The more we allow students to build their skills with mobile technology, the better they will be able to be active participants in our society. This is true both today as children and in the future as adults. Brit Christopher is a licensed theatre educator, currently writing, acting and teaching in Massachusetts. 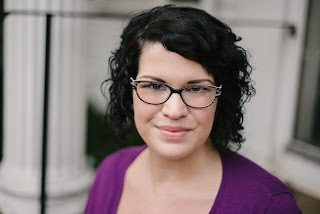 With a BFA in Acting from UNCG and a MA in Theatre Education from Emerson College, she has worked with students grades 4-12 in both public and private school settings. Brit has facilitated team-building theatre workshops at the Rhode Island Theatre Conference and New England Theatre Conference, as well as co-presenting "Be Yourself: Fighting Gender Conformity with Theatre for Young Actors" at The American Alliance for Theatre and Education National Conference. Brit is currently the Theater Arts instructor at St. John's Prep for grades 6-8 and co-directs a summer workshop for young actors for the North Shore Players in Danvers, MA. Note: The video above was shared here with the boys’ permission and their parents’ blessing. Are You Media Literate? Are Your Children?